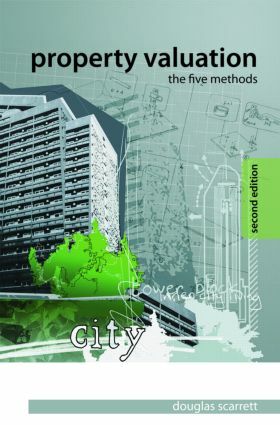 Completely revised to incorporate recent developments in practice, this second edition of Douglas Scarrett’s established text describes the process of valuation of real estate through its five principal methods: comparative, investment, residual, profits and contractor’s methods. Unlike most existing texts, the book is designed to allow students to read about the methods either chapter-by-chapter or as a whole, thus enabling a deeper understanding of each in its own right as well as how they fit together. Discussing changes in retail practice and the role of accountants in looking at viability of businesses, the book features new case studies, enhanced visual aids, diagrams and tables to help readers visualize the process. It is essential reading for those studying property valuation, in addition to practitioners who will find useful guidance to underpin their practice.